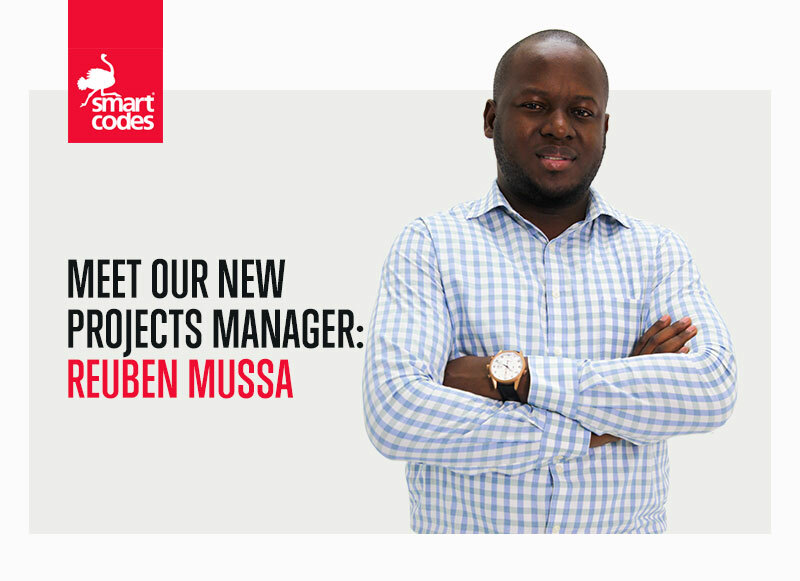 We are thrilled to announce our newest team member, Reuben Mussa who has joined Smart Codes as the new Projects and Product Manager. Rueben Mussa brings his wide experience in Digital and Technology having previously worked with Millicom through Tigo as the Information Security Specialist, IT Infrastructure Engineer and Backup Administrator, IT Operations Support and Metrics. His experience further entails aspects of Projects and Product life cycle, Compliance, Business Operations, and Technology. “Part of our ongoing business remodeling strategy is to have the right level of leadership across our departments. Reuben comes at the right time when we are looking to strengthen our Digital &amp; Technology capabilities” Edwin Bruno CEO of Smart Codes said. “His has over 5 years’ experience spearheading different digital and tech-related projects and we are very positive that he will add value to the leadership and entire team at Smart Codes” he concluded. Reuben will be responsible for heading, coordinating, managing and developing the scope of all Projects and activities within the Projects and Products department.